The sun was shining over High Royds Memorial Garden last Saturday morning on the Open Day, casting its uplifting brightness over the flowers, the lush green grass and the restored chapel. It was good to think that the once forgotten, voiceless people were now at rest in such a pleasant and peaceful place. 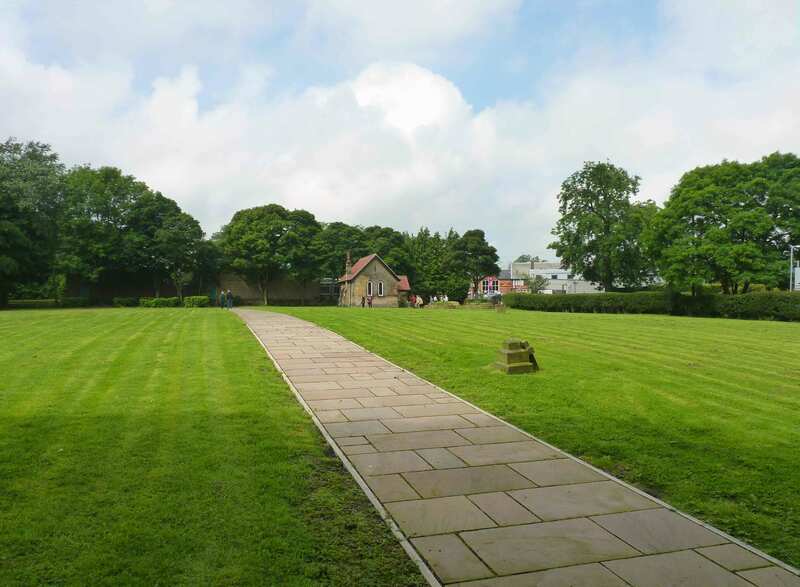 The Memorial Garden is situated in Buckle Lane, Menston, West Yorkshire, not far from the old High Royds Hospital which closed in 2003. From 1890 to 1969 the unclaimed remains of nearly 3,000 people who died at High Royds were buried at Buckle Lane in unmarked graves. 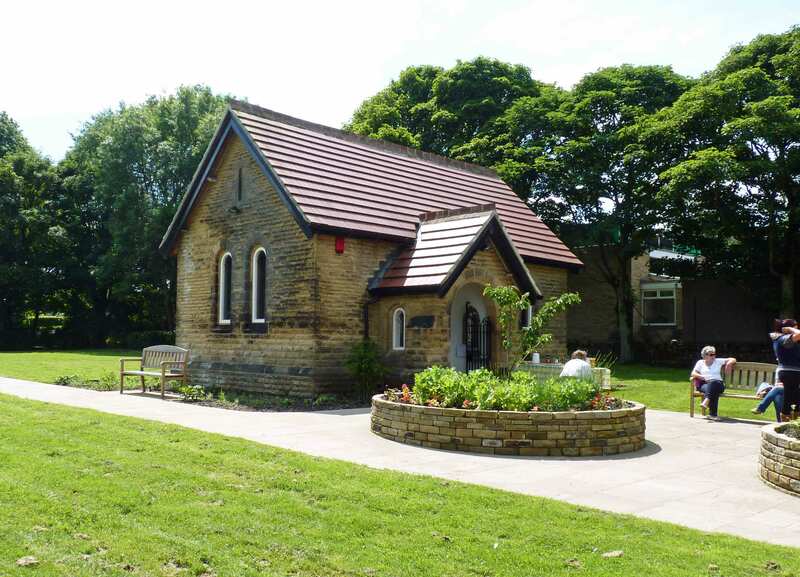 In 2007 The Friends of High Royds Memorial Garden, a campaign group with a vision, began their project to transform what was then a badly neglected piece of land and a run-down, derelict chapel. 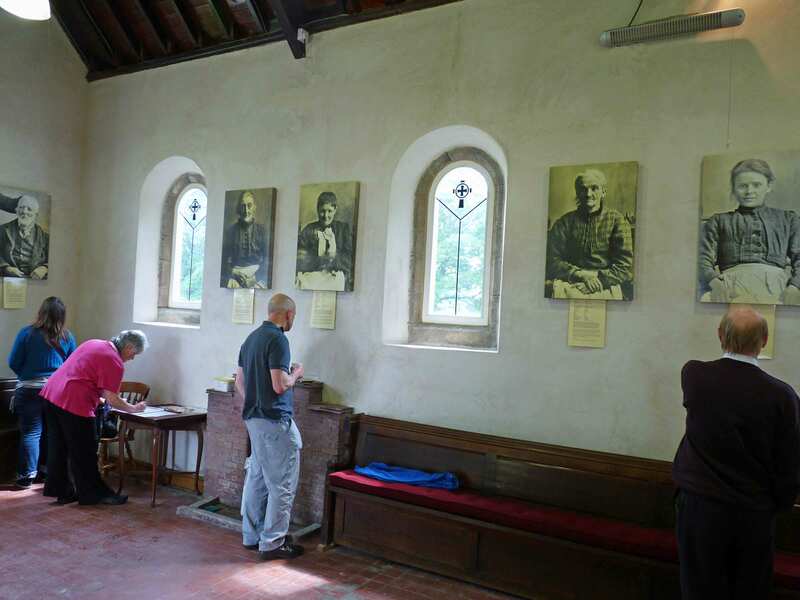 With Heritage Lottery Funds, and donations from people in the community, volunteers dedicated themselves to the long, hard task of renovating the chapel and transforming the site into what it is today. Among those who played a leading part in the restoration project were Derek Hutchinson and Mark Davis. Derek is a former patient of High Royds who never wavered in his determination to recognise and respect those who in death, as in life, had been stigmatised and stripped of their identity. Mark Davis, a photographer and historian, researched archived records meticulously to recover names, details and precise burial spots, putting together a complete list of all the people buried at Buckle Lane. Looking at the archives, it was as if by ‘waving a wand’ these people from the past come back to life (as he once said so movingly). Who are these people? Inside the chapel we see on the walls the large photographs of some of these individuals. The young woman on the right is Mabel Grey who entered what was then called the West Riding Pauper Lunatic Asylum in 1909 aged 28. The end of her sad, short life came after eighteen months in the institution when she died, apparently of ‘General Paralysis of the insane’. Moving along to another wall, I see that here is John Constantine, a ‘deaf and dumb’ man, admitted to High Royds in 1889, after been transferred from the North Riding Asylum where he’d been committed in 1872 at the age of ten. Apparently he understands what is said to him fairly well but cannot reply. Let’s stop here for a moment. Listen to his frustration and pain as he struggles to communicate. But staff write in the case notes that they find his efforts to speak ‘rather amusing to observe.’ He died in 1927, having been institutionalised for over fifty years. And there are more. And more. So many people who shuffled along the corridors of High Royds and other asylums were placed in the system and certified as a ‘lunatic’ often for no better reason than being unmarried mothers, ‘unlucky in love’, seeking religion, reacting to physical, sexual or emotional abuse, becoming homeless, melancholic, elated, being sad, angry, aggressive or withdrawn, not being of the ‘correct’ sexual orientation and those who, for various reasons, wouldn’t, or couldn’t, conform to the norms and values of the times. Human beings, people with thoughts, feelings, hopes, dreams, strengths and weaknesses, were given derogatory labels, inhumane forms of treatment and hidden from view. Madness was seen as hereditary and greatly feared. It wasn’t the done thing to talk about it. Sweep these people away out of sight, and don’t ever lift up the carpet to look underneath. Many, like John Constantine, entered institutions as children or teenagers and remained there to grow old and die. What went on inside these places? I respectfully acknowledge anyone who did their best to protect the vulnerable people in their care, but we must also never forget the injustices, abuses and violations of human rights that are, unfortunately, a part of psychiatric history that continues into the present. I stepped outside the chapel and strolled up the path to the far end of the burial ground, feeling the gentle warmth of the sun while reflecting on the harsh lives endured by many. If only the lives of the people lying in this little cemetery could have been different. I hope we will learn lessons from the past. Ambling back towards the chapel I thought about how much psychiatry, and indeed the society it reflects, still needs to change. Some attitudes are changing for the better, but so very slowly. Inside the chapel again, the other visitors had left. Standing there, alone, I looked around at the faces of people who seemed to be looking back at me from the walls. I wondered what they would say to me if they were here with me now. These are the silent and silenced, each with their own important story to tell. I don’t think I believe in ghosts, and yet… In the stillness of this place, where the past touches the present, it was as if I could feel them near. I don’t think I believe in God either, but almost felt compelled to bow my head and whisper a prayer. This is hallowed ground. There are ghosts here. 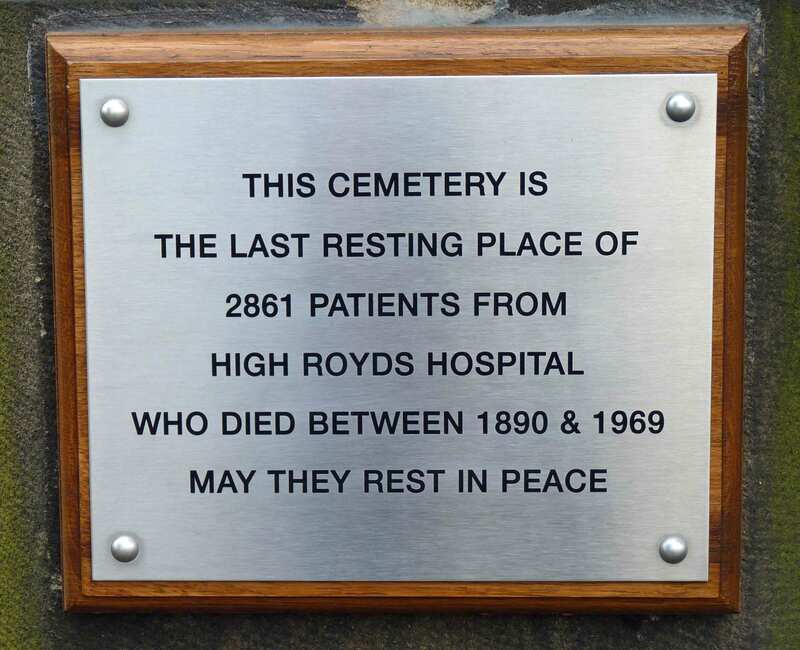 This entry was posted in Uncategorized and tagged High Royds, High Royds Memorial Garden, history of psychiatry, institutions, mental health, psychiatry by Jean Davison. Bookmark the permalink. What a poignant reminder of such unfortunate victims.